On March 25 I sent emails to four Senators, one congresswoman, and the Senate Committee on Energy and Natural Resources. 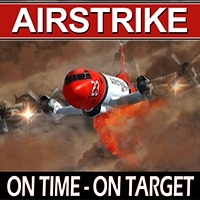 I took advantage of my right, and my responsibility, as a citizen to express my opinion on the pitiful state of our air tanker fleet. And I was not shy, which will not surprise the regular readers of Wildfire Today, about providing my analysis of how we got to this point, with the fleet only a shell of what it was 10 years ago, reduced by 75 percent. The land management agencies, and especially the U.S. Forest Service, own this debacle. In addition to the Senate committee, which holds regular hearings in which wildfire issues are discussed, the recipients of my letters included Senators Ron Wyden and Lisa Murkowski. The senators that signed the letter were Sens. Ron Wyden, D-Ore.; Lisa Murkowski, R-Alaska; Jeff Bingaman, D-N.M.; and Dianne Feinstein, D-Calif. 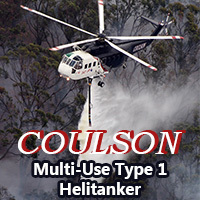 If there are going to be any significant improvements in the air tanker fleet, it will have to be a political solution. The land management agencies, and especially the U.S. Forest Service, have proven that their strategy is “sit on our hands and make no tough decisions”. If you have an opinion on this issue, let your senators and representatives know. Here are some excerpts from the Associated Press article that appeared in newspapers and web sites around the country. A group of Western senators says the U.S. Forest Service may not be moving quickly enough to build up and replace the fleet of aging planes that drop fire retardant on wildfires. The senators asked the Government Accountability Office on Tuesday to evaluate whether the Forest Service has done a good job of analyzing the types and numbers of aircraft needed, the cheapest way to get them, new technologies, and where the planes will be based. 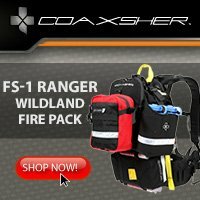 “Concerns have increasingly been raised that the federal agencies responsible for responding to wildland fires _ the Forest Service and four agencies in the Department of Interior _ do not have the appropriate number and mix of aircraft that will be needed for wildland fire suppression operations,” said the letter signed by Sens. Ron Wyden, D-Ore.; Jeff Bingaman, D-N.M.; Lisa Murkowski, R-Alaska; and Dianne Feinstein, D-Calif.
Last month, the Forest Service adopted a new strategy for replacing the fleet with newer, faster and more cost-effective planes. Wyden complained that the Forest Service’s strategy is woefully lacking in specifics that would allow comparisons of different types and costs of aircraft so choices can be made. Meanwhile, a “perfect storm” is shaping up of dry weather and thick stands of forests that have not been thinned. Will 12 air tankers be enough this year? Thanks go out to the numerous people who let us know about the article. Great job bill. I’m glad to see our elected representives listening to the people they represent. Thank you for taking the time to contact these government officials to express your opinion on the state of our air tanker fleet. You have inspired me to re-open my files from 2004 and make the same contacts. Your conclusion that if there are going to be any significant improvements in the air tanker fleet, it will have to be a political solution is right on. The strategy of “sit on our hands and make no tough decisions” represents a conscious effort to destroy the air tanker industry by those who have little knowledge of the benefit and workings of this valuable wildland firefighting resource. It seems that most agree the Forest Service isn’t going to do anything. 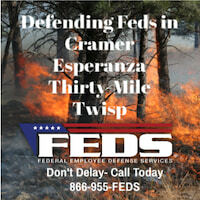 There is a rumor floating around of a National Fire Aviation Agency, FEMA funded? 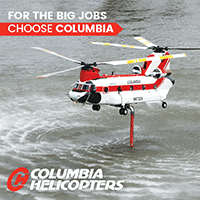 This agency would manages the fixed wing air tanker program from A to Z. Contracting, air base locations, movement of sufficent leads/ tankers to high fire danger areas outside of declared fire season. BEFORE THE FACT. 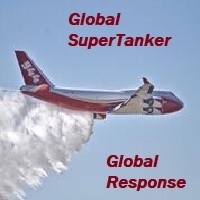 Available access of leads/tankers to State’s that don’t have an tanker program. I know the person working on this, he has big credentials and a successful record of accomplishment. He is not a Federal employee. “States that don’t have a tanker program” implies that their elected representatives don’t see funding A/Ts as a priority for “their $$” but will be ready to accept “my Federal taxpayer $$” to protect their State-responsibility lands? This whole issue is about costs, availble $$ and the role of a Federal Government agency. So many folks don’t want to have to buy health insurance, but want the ER to treat them; don’t want to fund a State Forestry A/T program, but want the Feds to send them when things get hot and heavy; don’t want taxes, but want Interstate hiways and new airport runways for bigger jets. We can’t have it all without paying the Piper. As someone who has worked with FEMA, it is my opinion that the A/T program would die a slow death if they attempted to run it like they do everything else in disasters. Johnny, maybe if fire aviation were managed by people with a lifetime of aviation experience, the program would be in better shape. Range Conservationists, Foresters, and ex-marines might mean well, but they have led us to the mess we’re in now. We need to try something different. Way to take the initiative Bill. Kudos. The chances of a refurbished effective fixed wing air tanker program at the federal level has the same odds as a blind man playing poker with Doc Holiday, will not happen. There is no support or interest from the federal agencies or insurance companies (who like big losses) to make a plan or change. Only a few of us who live in the wildlands make this issue of paramount concern. Fires are good for the local economy, a stimulus program. Let’s make sure our tax dollars go to a foreign country that will stap us in the back in the future. Maybe I’m too optimistic about what we can accomplish in support of a new generation air tanker program. I appreciate Senator Feinstein and the other three state senators for making an attempt to lead a reluctant horse to water, hopefully they can get it (F.S.) to drink. Many of the “rumors” floating around (DHS, FEMA, USFA) are not really rumors. They are actually “crisis management” facts to address the Forest Service failings in their AGENCY mission as well as their ESF4 support missions. 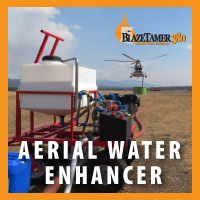 They are actually well vetted and supported solutions being proposed to “fix” the Forest Service’s disengagement with their FIRE and AVIATION missions and their mission within the National Response Framework. The Fire and Aviation functions of the U.S. Forest Service should have NEVER been left with USDA post 9-11. These are NATIONAL emergency response assets (aircraft, firefighters, emergency managers, communications, logistics, etc)… currently controlled, prioritized, and supervised by BIOLOGISTS (or other related ologists et al) with absolutely NO understanding of the programs they are attempting to manage. I’ve been on the “inside” for 29 years. It’s got to the point of fail.. repeat.. fail.. repeat.. fail. Maybe some changes are needed? (Duh) Start at the top and work downwards, First to go: Tom Tidwell (Chief) and Tom Harbour (Fire Director). As the Forest Service wimpers on “what should we do”, Cal Fire and DyCorp (Cal Fires aviation support provider) has just been awarded by the F.A.A. the prestigious Diamond Award for excellence in maintaining the State’s aerial fire fighting fleet. Congradulations! So you say “So What?”. The time for a national air tanker agency is now. Recently several Dycorp/ Cal Fire managers have retired. Most have worked on both the Federal and State side during their careers. 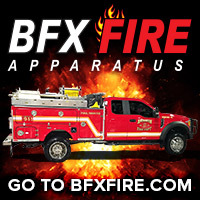 MBA’s, degrees in aerospace engineering, of all things fire fighters, military (no oligist) make up the list of those who are now and have worked for the State. Cal Fires aviation program three decades ago had there share of growth and direction pains. Through visonary thinking and keeping the taxpayers dollar in mind, the results certainly seems to have worked. Mr./Mrs. Representatives and Senators quit asking the Forest Service “whats up”, drop a dime on these retired DyCorp/Cal Fire guys. I’d take it a step further. 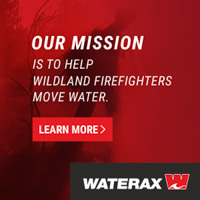 Not only does there need to be a ‘national airtanker agency’, but there NEEDS to be only one federal wildland fire agency… completely separate from the “land management” biologists who are crippling the Forest Service through “Analysis Paralysis”. Former Chief Dale Bosworth warned about the consequences of only focusing on analysis and compliance, AND somehow forgetting about focusing on the MISSION. How can we talk about “fire ecology”, “fire’s role” and “Fire-dependent ecosystems” and then say that fire should be seperate from land management biologists? Are “pure” fire folks supposed to know about the role of fire to improve range or wildlife habitat? How about the need for site prep after timber harvest for re-planting? Then what about the appropriate role for fire in Wilderness and other designated Natural Areas or National Parks? How about the effects of fire (and different intensities of fire) on soil, plant species, cultural resources, etc? Do we expect “pure” fire folks to be knowledgeable and well-versed in all of those disciplines? And who is the ultimate authority about fire use and fire uppression on any given piece of Federal land: the responsible Park Supe, Forest Supe or Refuge Manager, or some “pure” Fire guy?I’m reminded of the quote by a CDF person during the 1988 Yellowstone ires: “if they’d just let us use dozers, we could stop this thing.” Is this the level of understanding about land management we hope to get with a “pure” non-biologist fire force? Fire, just like timber harvest and grazing, is a force that effects the land in various ways at various times, and must be incopporated with all of the biological elements that determine what the land will look like and what the American people expect of their Federal lands. I agree that there are problems in the USFS-F&AM program, but going back to the old “fire department concept” will not fix them, and would “break the bank” financially as well in times of redecing budgets. 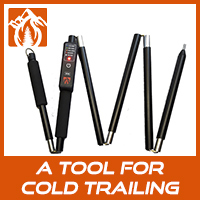 The “land” is managed by the “ologists”, the fire program is managed by fire professionals. It is a pretty simple concept. Think of a National Forest as a city. You don’t want the Parks and Recreation Dept. managing or setting policies for the Fire Department; or managing (stealing from) its budget… etc… etc..
And believe it not, the fire side of the house actually has LOTS of experience, training, and education in natural resources… often times MORE experience than those recent college graduates who join the Forest Service and are GS-11s within a few years. Previous Previous post: Apple fire, south of Custer, South Dakota.